Home > COMET INDUSTRIES BELTS > Comet 300658 (A-C) Drive Belt. Comet Industries 300658-704089 Belt. Comet 300658 (A-C) Drive Belt. Comet Industries 300658-704089 Belt. Comet 300658 (A-C) Drive Belt. Comet Industries 300658-704089 Belt. 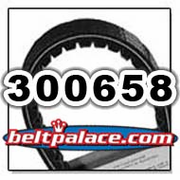 Genuine Comet Industries Drive Belt 300658C (A-C), Replaces Salsbury/Comet Belt 704089. Wacker Ride-On Concrete Trowel Drive Belt #300658C. Comet 302535C. Comet Industries 790 Series Driven/Lower Clutch. 1" Bore. Comet 302535-C.
Replaces MultiQuip 20137 for JWN - Comet 302535C. 302535-C, Comet Industries 790 CVT for Ride On Trowels. MultiQuip OEM Part 20137 (302535C). STOW STR36-SP : 1" Bore, for 20137 - PULLEY, CVT LOWER COMET 302535C . 790 DRIVEN FITS 1" SHAFT, RED SPRING, 32 degree CAM, FAN COOLED. COMET 302538C DRIVEN PULLEY, CVT LOWER (COMET 302538-C). 1� Bore.